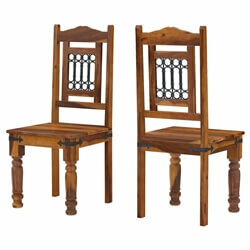 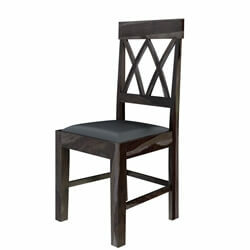 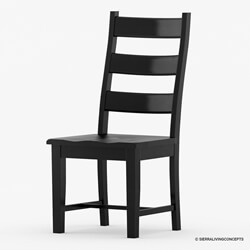 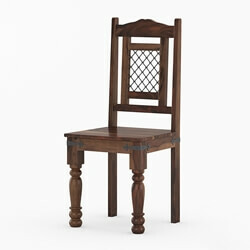 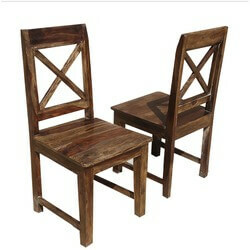 The simple kitchen chair and hand-crafted dining room chair are the hardest working furniture in your home. 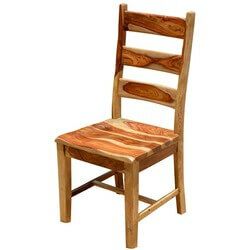 The wooden chair gets leaned on, tipped, tilted, pushed and pulled and sat on for hours on end. 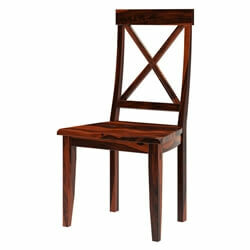 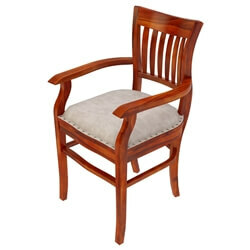 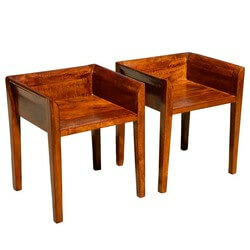 Our quality hardwood chairs are made to last, be comfortable, and beautiful. 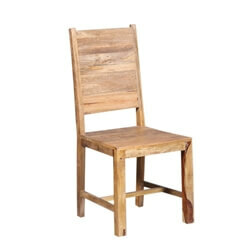 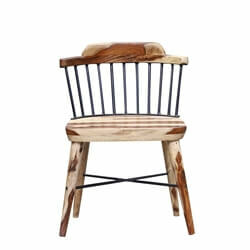 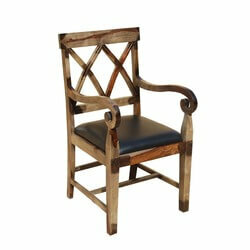 Classic Solid Wood Kitchen Chair - A handmade wooden chair is an essential part of everybody’s home. 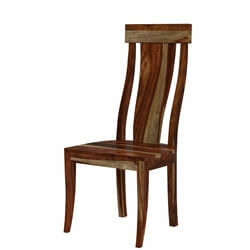 We design chairs with wide seats, high and low back, and stable box, parallel, H stretcher supports. 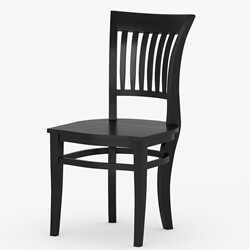 Every chair is comfortable and stable. 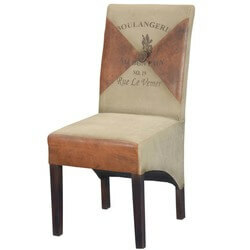 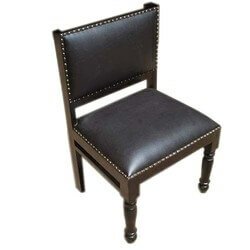 Upholstered Dining Room Chairs - Meals and meetings are always better in a comfortable hand upholstered chair. 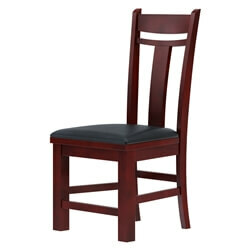 Our selection includes chairs with upholstered leather and cloth seats as well as luxurious chairs with fully upholstered arms, seats, and backs. 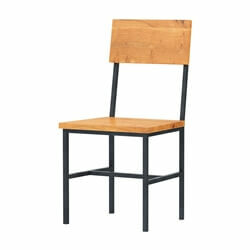 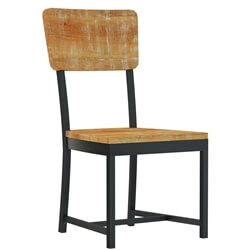 Traditional and Rustic Styles - If you’re on the lookout for a school back chair, a wash board, or an X in the Square kitchen chair, you’ll have many to choose from. 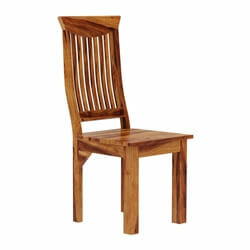 Organic shaped teak chairs, pineapple back ladder back, iron grillwork, and solid back dining chairs are also part of our collection. 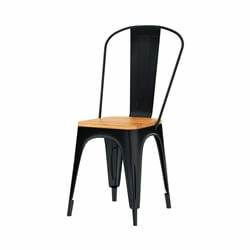 Modern and Innovative Chair Styles - Contemporary designed chairs offer something new in both style and comfort with ergonomic shapes and sleek, eco-smart materials. 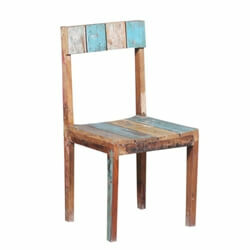 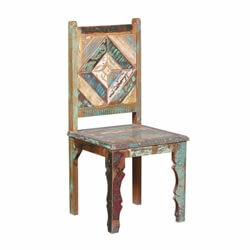 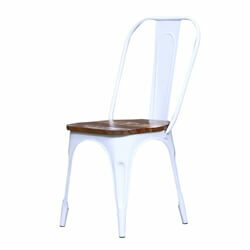 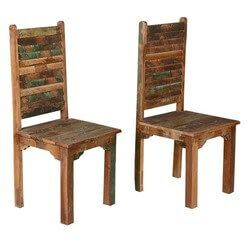 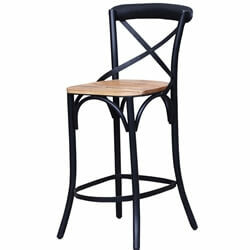 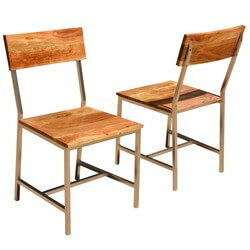 We’re excited about our industrial line of chairs built with iron and solid wood. 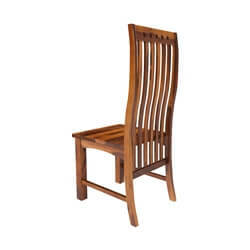 Chairs built by Old World Craftsmen - As you explore our collection of dining room and kitchen chairs you’ll discover many exciting features like hand-carved details and hand tacked upholstery. 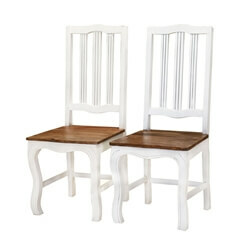 Mix and match chairs or add a few more seats to our table and chair sets. 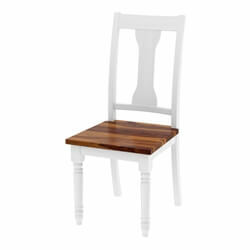 Remember we customize orders so if you want a specific stain or feature, just let us know.